The constant core members of the band have remained Ingus Bau&scaron;?enieks (bass guitar, keyboards, vocals) and Viesturs Slava (guitars, keyboards, vocals), with Zigmunds Strei?is (keyboards) and Ilgvars Ri? ?is (drums) completing the "classic" line-up. Their first six albums (1981-1987) were home-recorded using consumer tape recorders, and distributed by means of magnitizdat, on 1/4" reel-to-reel tape and compact cassette, with no artwork. Despite popular demand throughout the 1990s, none of these albums was released properly until 2003, when Bau? ?enieks began issuing them on compact disc on his own label, Ingus Bau? ?enieka Ieraksti. Contemporary Latvian composer M?rti?&scaron; Brauns has said that Dzeltenie Pastnieki influenced the entire Latvian scene, including himself, and even Raimonds Pauls. 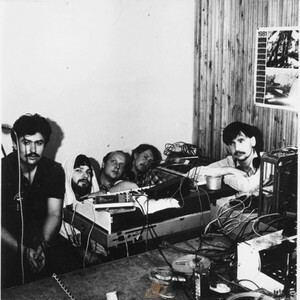 The band's work of the 1980s has often been praised by leading Russian music critic Artemy Troitsky. Also, Dzeltenie Pastnieki were the only Latvian-language artists featured in Alexander Kushnir's book 100 Tape Albums of Soviet Rock, with dedicated chapters for two of their albums - Bolder?jas Dzelzce?? (1981) and Alise (1984).